True resort living in Chicago!!!! 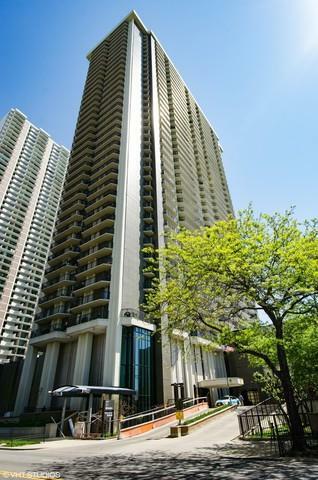 Approximately 1400 sq ft of glorious living space overlooking breathtaking Lake Michigan. 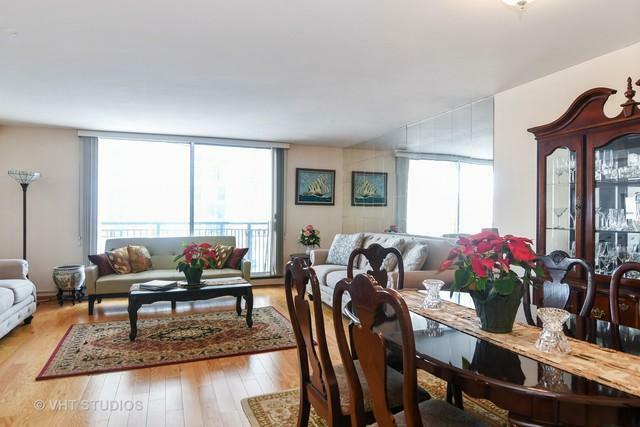 This oversized condo, located right on the lake, is PRICED TO SELL!! A sun-filled living and dining room combo boasts 10' ceilings. There is a newer wood floor throughout the unit. The master bedroom features a big walk in closet. There are 2 huge balconies that overlook Lake Michigan. The well-managed building never had a special assessment and has plenty of reserves. Everything is 2 steps away: Mariano's, Whole Foods, bus, train, Lake Michigan beaches, running path, and numerous restaurants!!! 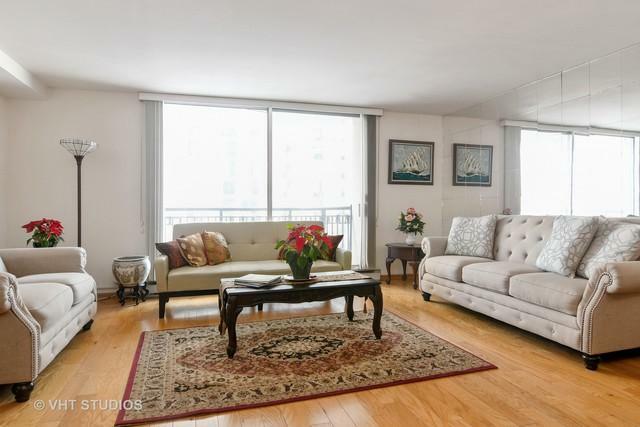 Building has 24-hour doorman, management on premises, outdoor pool with a sun deck, party room, exercise room, and valet parking for only $140/month.